Health, diet, and fitness have become a multi-billion dollar business. The industry explodes into every corner of the industrialized world. A person can’t ignore the inducements and promotions that exist in every media source on the planet. Yet, the commerce surrounding the business has a unique and curious component. The revealing of this phenomenon is why Squat came into being. The health, diet and fitness business only prospers and expands at the expense of the user. Put another way, it’s the only business on earth that succeeds as the customer fails. The health and vitality of the industry only thrives as the user stumbles. Squat is designed to be a source that defines the issue by noting funny, yet accurate information regarding the history and development of the business. This is not another “how to” manual that gives you examples of “magic” or “miracles”. 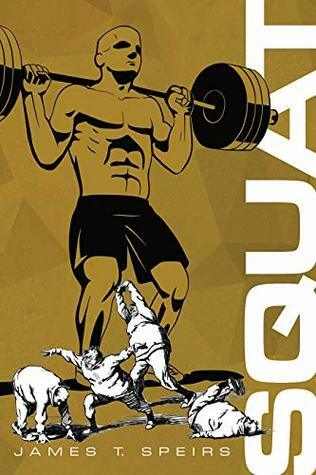 Squat is a book that allows the reader to understand the simple mechanisms of our body and simultaneously discarding any previous ideas we have regarding weight training, diet, and fitness. Squat is different than any other publication on the subject. Unlike others, Squat uses history and examples of what works and what doesn’t. The sometimes hilarious activities surrounding the origins of the business to the current day spectacle of weight training and diet have never been so profiled or exposed. A short trip through the incredible journey of the health, diet, and fitness business can change everything you once thought to be true. Get ready to unlearn what you once believed as accurate and helpful. Squat by James T. Speirs is an entertaining yet educational read. It takes everything we, readers, thought we knew about fitness and health and shaken it all apart. Fitness, health, and weight industry is indeed as tricky as the writer mentions. However, having studied health, no one fitness program or diet plans will work for everyone. Each individual is unique. There is no one plan that fits all. That is where the health/fitness industry misleads consumers and individuals. So, to do well in this business area, what we really should strive for is to weigh in each individual differently when it comes to marketing a plan that works for them. What works for me won’t work for you. But I loved how easy this book was to get through. It held a creative spin while showing the way to an effective business within this industry. Overall, it was a good read. I would recommend it to those interested in this field of study.